Interactive report grades the top endpoint security systems across 20 key criteria in defending against malicious cyber activities. DENVER — SelectHub, a technology selection management (TSM) software company, released its November rankings update for their Endpoint Security Software Leaderboard. The Leaderboard features the top systems rated on 20 key functional requirements, identified by organizations purchasing endpoint security software. 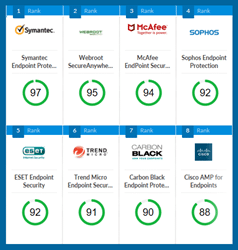 Symantec, Webroot and McAfee were rated highest in SelectHub’s analysis of more than 50 endpoint security systems—with Symantec Endpoint Protection edging out the leaders for top spot on the Leaderboard. Other top performers in the report are solutions from ESET, Sophos, Carbon Black, Cisco, Cylance and Microsoft. Protection against cyber-attacks has never been more important. Forbes estimates that cybercrime will cost $6 trillion a year on average through 2021. The immediate financial damage to a business can be crippling—the longer term damage to its reputation can be catastrophic. The SelectHub Leaderboard report provides organizations with insights into to the latest advances in security software from developers racing to keep up with an ever increasing barrage of threats. Endpoint security is particularly important as it aims to secure entry points from all devices connected to a network. With more employees working remotely and using mobile devices for business, endpoint security systems are critical in helping organizations better defend their computers and networks against malicious threats. Michael Destefani, CEO of IT security consulting firm DSolution, believes that it’s critical for companies to find the right way to identify vulnerabilities and pick the right technology solutions, “The cybersecurity vendor landscape has changed so much over the last 3-4 years – there are so many new vendor solutions purporting to have the latest & greatest protection technology…an organizations needs a comprehensive manner in which to compare solutions against their needs”. The endpoint security systems in the SelectHub report were rated on critical performance measures such protection against data loss, insider threats, application and network access controls, privileged user controls, data center protection, and endpoint threat detection and response. SelectHub calculates its rankings across critical functional categories, using information compiled from ongoing software selection projects and actual RFPs managed through their software selection management platform. SelectHub then validates scores with third-party industry and research firms to assure the accuracy of the ranking methodology and findings. The interactive leaderboard is available as part of SelectHub’s software selection platform and is customizable based on an organization’s specific learning management system requirements. SelectHub users can collaborate with decision makers, shortlist vendors based on their customized requirements, execute RFIs/RFPs and manage the overall evaluation and procurement process.  Comprehensive leaderboards and buyer’s guides are also available for other leading enterprise software categories such as CRM, ERP, Business Intelligence and more.